As of last night, full and part-time faculty members working at Cerritos College will finally begin voting to ratify a tentative agreement brokered between the union and the college district. The new contract would give full-time faculty a 10% raise over three years. Part-time faculty, who are currently paid at the lowest hourly rate in the region, would gain even more, with up to a 16.5% raise over three years, an increase in the number of paid office hours they can hold each semester, and paid office hours for the summer. Voting will end on September 19 and it is expected that faculty will ratify the agreement. Upon ratification, this agreement will be brought to the Cerritos College Board of Trustees for their vote on September 21. 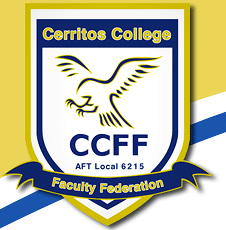 The Cerritos College Faculty Federation (CCFF) is the union representing all full and part-time faculty members at Cerritos College. It is one of the youngest labor unions in the California Community College system, founded amidst controversy in 2003. This agreement will bring the union closer to having a full contract with the district.